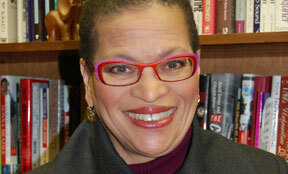 Julianne Malveaux says that efforts to eliminate the Department of Education are, at best, shortsighted. The effort to repeal and replace health care is generating headlines, and the attempt to investigate Trump’s Russia connections is of high importance. The specious claim that President Barack Obama wiretapped Trump Tower, too, has generated interest, largely because it is unprecedented for one president to accuse another of a felony, and because “45” has absolutely no proof that President Obama has done any such thing. While President Obama, with a multi-million dollar book deal tucked into his pocket, is living his life like its golden, “45” has indulged in several public tantrums, with episodic moments of calm. Too many of us have been riveted to the drama, while there is a more quiet revolution happening in Congress, with the approval of the White House. There has been an attack on education, with legislation being introduced as early as January 23, 2017. That legislation, HR 610, is titled the “Choices in Education Act.” It would repeal the Elementary and Secondary Education Act of 1965 (ESEA), and limits the authority of the Department of Education so that it should only award block grants to states. It also sets up a voucher system. If states do not comply with the rules of this legislation, they would be ineligible for block grants. The legislation would also repeal nutritional standards for the national school breakfast and lunch programs, which were set by the No Hungry Kids Act of 2012. Schools would no longer be required, as First Lady Michelle Obama advocated, to increase the availability of fruits, vegetables, and other healthy foods at lunch. Are we going back to the days when officials with the Reagan Administration tried to classify ketchup as a vegetable? Seems like it. The ESEA was passed as civil rights legislation, providing more opportunities to a broader range of children, including disabled children. It also requires reporting around issues like the achievement gap, bullying, and underperforming schools. All of these provisions would be eliminated, if HR 610 were passed. Not to be bested by legislation that would limit the reach of the Department of Education, Rep. Thomas Massie (R-Ky.) has introduced a sentence-long piece of legislation. HR 899 reads, in total, “The Department of Education shall terminate on December 31, 2018.” Of course, Massie hasn’t put the thought into considering how things like Pell grants would be administered, or would he eliminate those, too? HBCUs are part of the education budget. What would that mean for us? The bill has been cosponsored by several of Massie’s colleagues. It speaks to a national antipathy to education, so that even as we hunger for jobs, and elected “45” so that he could “create” them, we are prepared to limit pathways to job preparation. Efforts to eliminate the Department of Education are, at best, shortsighted. Even though Trump nominated the extremely limited Betsy DeVos as Secretary of Education, his pre-campaign policy book advocated for the elimination of the Department of Education. Is the hidden agenda to run the department into the ground to the point that elimination is the only option? “One-note Betsy,” with her focus on school choice, must be gratified, especially by HR 610. The Department of Education is one of the lowest-spending government agencies. Eliminating it could save taxpayers more than $68 billion—enough, perhaps, to “build a wall. Of course “45” is finding lots of other funding sources for the wall, with proposed cuts from the Coast Guard to The State Department. The good news about this odious proposed legislation is that it has not passed. It has been referred to the House Education and the Workforce Committee. After the committee vets it, the Senate must also approve the bill. But these bills need not even come out of committee, if opponents are vocal. Check out www.edworkforce.house.gov to find out who is on this committee. Call and write them and tell them that you support the 1965 ESEA, as most recently amended, and that the Department of Education should not be eliminated. This is an opportunity to unleash our voices and resist Trumpism. The big headlines are riveting, but we need to look at the fine print. If you spent an hour reading the Congressional Record and looking at the devilment these Republicans are up to daily, you would be repulsed. Let’s turn repulsion into resistance.